Trucking accidents are a serious problem in Washington state, and especially in highly congested cities like Seattle and Tacoma. The high volume of traffic in these areas typically results in long delays and freeway shutdowns when large trucks are involved in a collision, mainly because of the amount of time it takes to clear the roadways after a crash. Injuries are also typically more significant in these crashes because of the sheer size of semi trucks in comparison with standard motor vehicles. Many semi trucks weigh as much as 20,000 lbs each, which can crush a regular car and those inside of it without much difficulty. According to the Washington State Patrol, a significant amount of semi truck accidents in the state are caused by passenger cars. Troopers say drivers who exhibit unsafe driving behavior around these large trucks are putting themselves and everyone else on the road at risk. As a result, some troopers will be riding around with truck drivers and report any unsafe drivers to other troopers and potentially issue citations to those drivers. Olympia – Washington State Patrol troopers are back out this week conducting an aggressive driving emphasis in King County. This time, troopers will have help from truckers to look for motorists who are driving unsafely around big trucks. During the emphasis, troopers will team up with truck drivers and ride with them in their trucks. When the trooper spots a car speeding, cutting off, or driving aggressively around the truck, the trooper will radio ahead to fellow officers to stop the motorist. 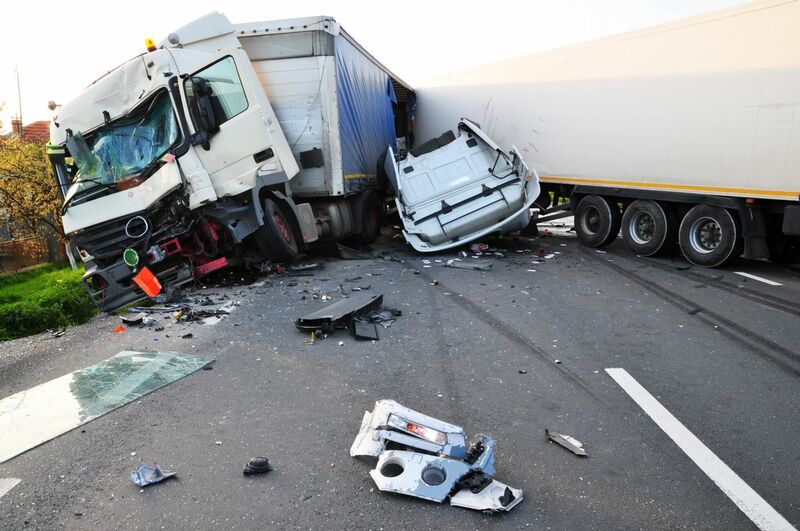 “We continue to see passenger car drivers as the main cause of most truck involved collisions,” said Captain Jason Berry, Commercial Vehicle Division commander. “People need to understand they have to give these big trucks plenty of space; when there is a car vs. truck collision, there’s a good chance the people in the car will be injured,” he said. This week-long emphasis is part of a Ticketing Aggressive Cars and Trucks (TACT) Project that has WSP troopers conducting four week-long emphases that began in September 2012 and will continue through May 2013. In the first week-long emphasis in September 2012, WSP troopers contacted a total of 485 drivers, 280 tickets were issued, and troopers conducted 18 Commercial Motor Vehicle inspections. In the second emphasis in December 2012, WSP troopers contacted 502 drivers; 286 car drivers and 23 Commercial Motor Vehicle Drivers received tickets for driving aggressively around other big trucks. Most of the collisions involving commercial motor vehicles that occur in King County happen on the interstate and state routes. Officers will patrol I-5 from Seattle to Federal Way, I-90 from Seattle to North Bend, I-405 from Bellevue to Tukwila, SR-167 from SR-18 to I-405, and SR-18 from 6 a.m. to 6 p.m. during the times most collisions occur. Remaining enforcement dates are March 11-15, 2013, and May 20 - 24, 2013. This TACT Project is funded with a grant from the Federal Motor Carrier Safety Administration. The grant is part of a program directed by Congress in 2004 to educate passenger car drivers on how to share the roadway safely with commercial vehicles.